President Trump's budget proposal would cut federal funding for an earthquake early warning system for California, Oregon and Washington state, a development that seismology experts and some local leaders say would be the end of the project. The system being developed in conjunction with various universities is intended to provide critical seconds of warning when an earthquake has started and potentially dangerous shaking is imminent, allowing time for people to take cover and to slow or halt such things as critical industrial processes and transportation systems. 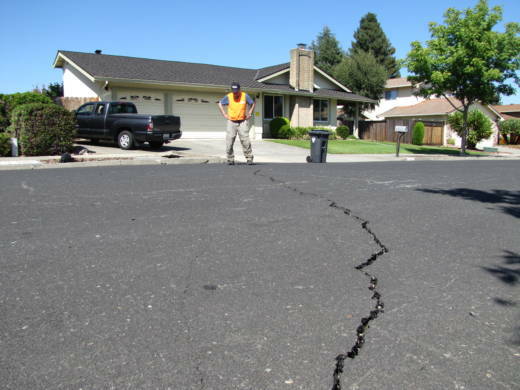 A version of the ShakeAlert system has been undergoing testing but still needs to have more seismic sensors installed in Northern California, Oregon and Washington. The proposed funding cuts for the next fiscal year starting Oct. 1 would come from the budget of the U.S. Geological Survey, a bureau of the U.S. Interior Department. Veteran seismologist Lucy Jones, who recently retired from the U.S. Geological Survey after years of providing earthquake information to the public, said she was deeply disappointed. "Eliminating the $10 million (per) year that the government has been spending would stop the program and waste the $23 million that has already been invested," she said in a statement. "The talented scientists and technicians that are working on the project now will go to other jobs, so their experience and expertise would be lost." Rep. Adam Schiff, a Los Angeles-area Democrat, said in a Facebook post that the system should not be stopped just as it is being expanded after years of work to educate the public and Congress on its benefits. "Support for the early warning system in Congress is sustained, growing and bipartisan, and we will not accept this attempt by the president to cut a vital funding stream for a program that will protect life, property and critical infrastructure," Schiff wrote. Rep. Ken Calvert, a Republican who represents an inland Southern California district, is chairman of the Appropriations Subcommittee on the Interior and the Environment and has supported funding of the earthquake warning system in the past. In a statement Tuesday he did not mention the warning system specifically, but noted that the budget "proposes some reductions for agencies that fall within the Interior Subcommittee's jurisdiction. Those agencies perform important work, so the members of our committee will be faced with making some difficult decisions." A telephone message seeking comment was left Friday morning at Calvert's district office in Corona. In Los Angeles, Councilman Mitch Englander called the funding cuts "a threat to the lives of millions of people in California and beyond." Englander's district includes the epicenter of the deadly 1994 Northridge earthquake that caused billions of dollars in damage to Los Angeles and neighboring areas. "When it comes to earthquakes, seconds matter," he said in a statement. "A fully deployed early warning system would give time for elevators to shut down, hospitals to turn on backup generators, and people to take cover."